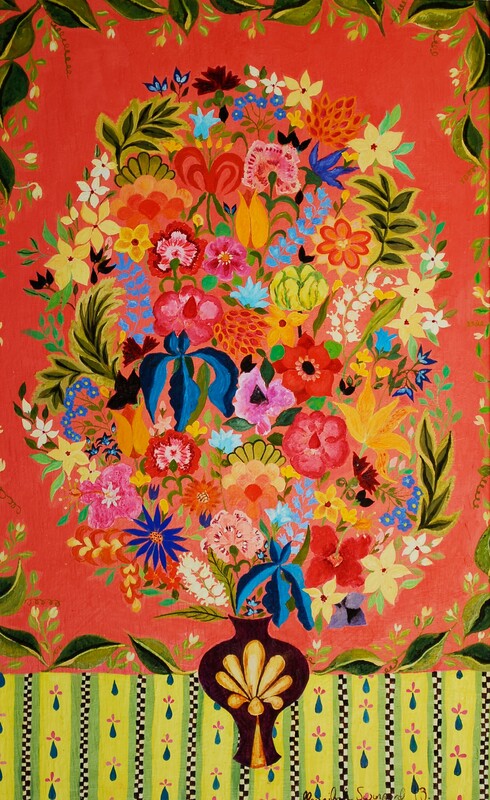 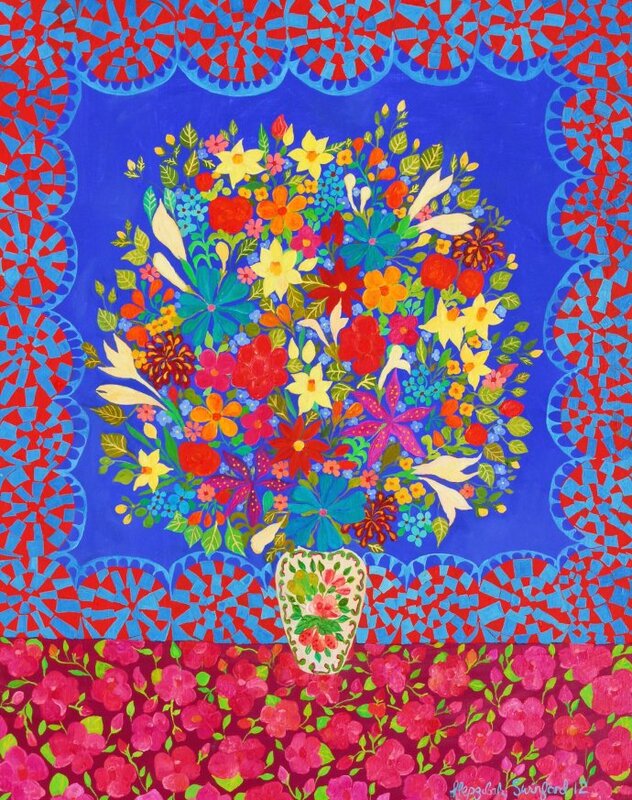 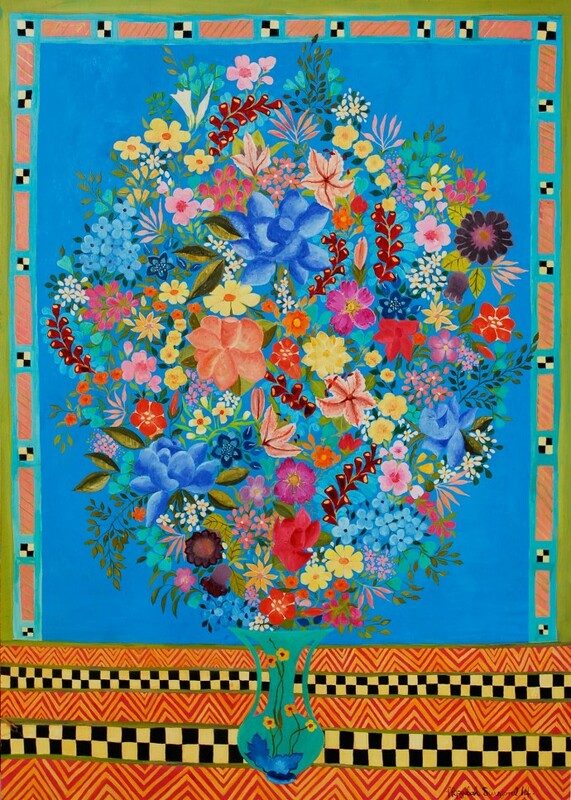 A self-taught painter, Hepzibah Swinford grew up in London and in a rural Scottish house with a beautiful rose garden, surrounded by Oriental art and by the pictures of her mother, the artist Dora Holzhandler. 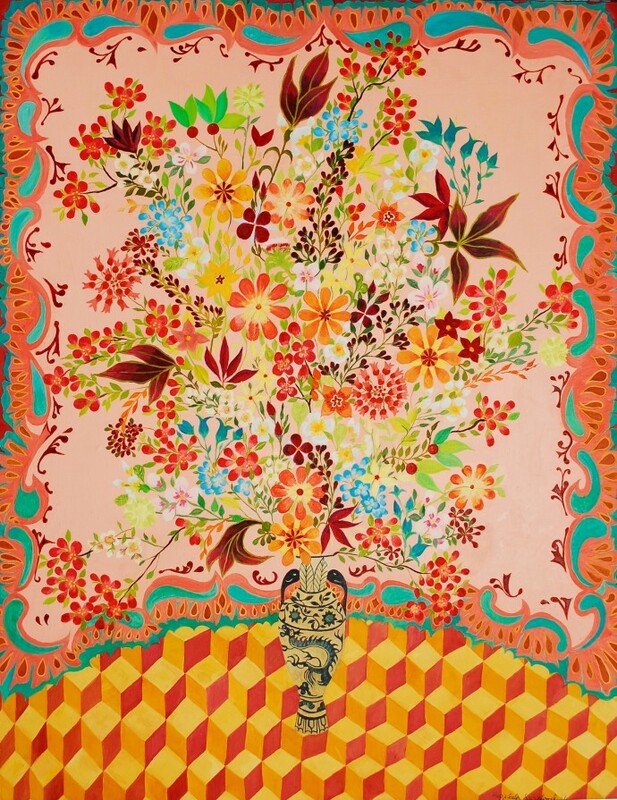 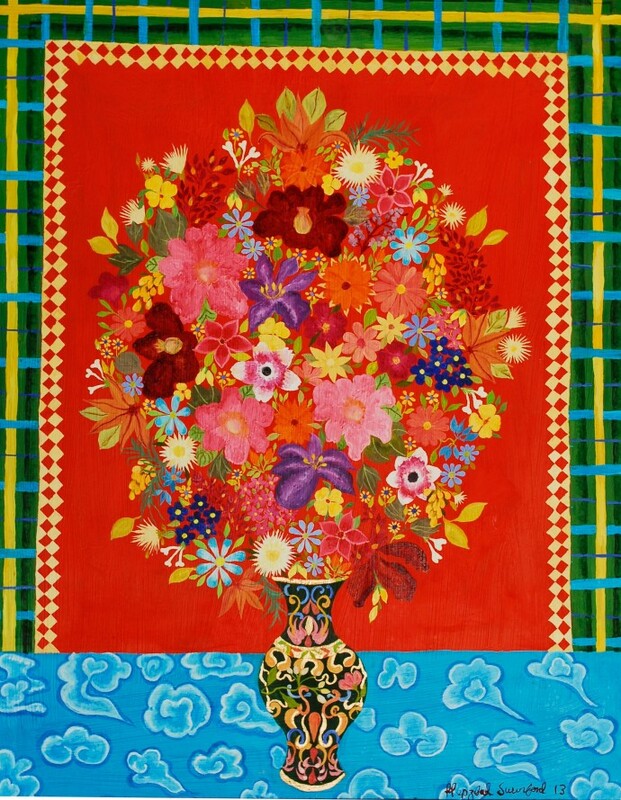 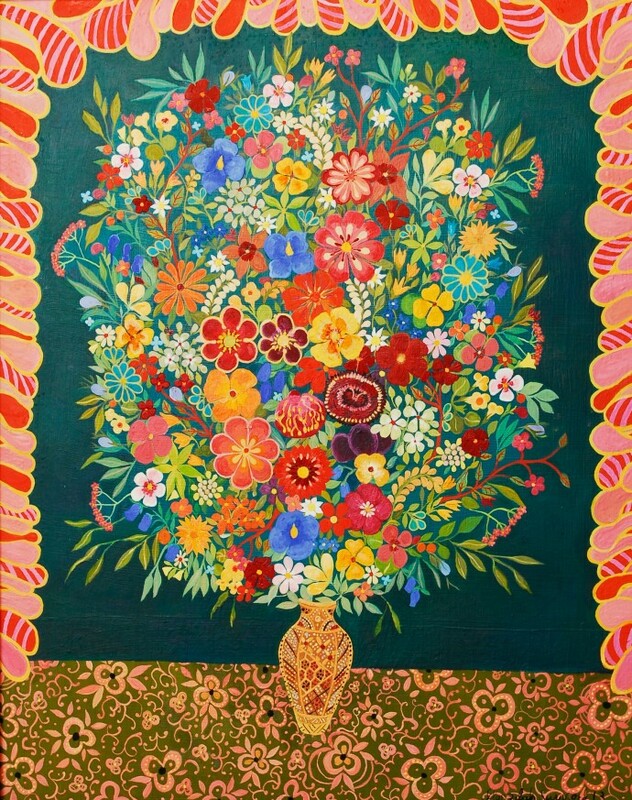 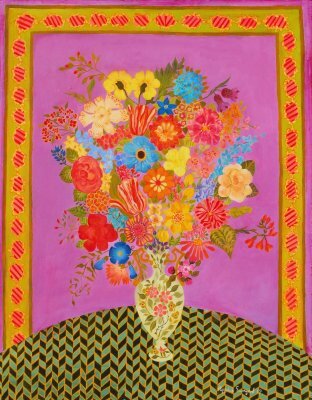 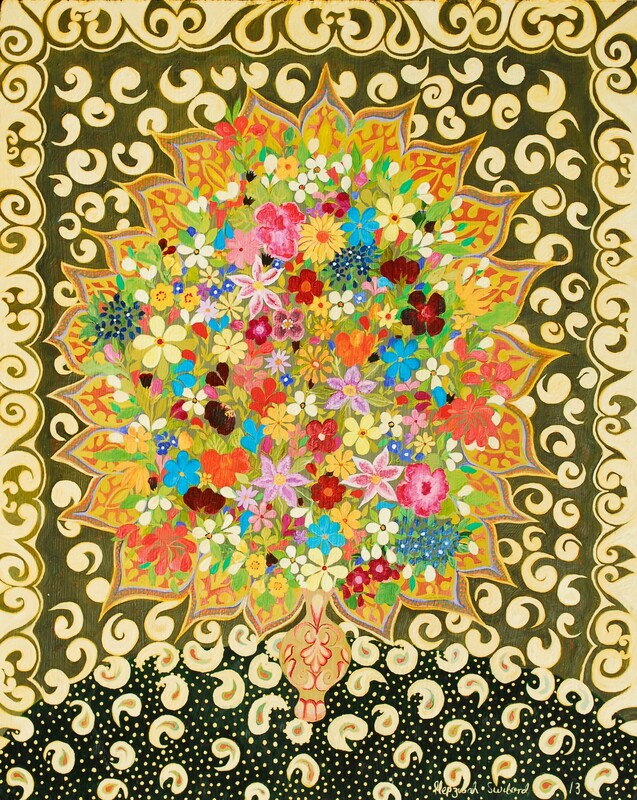 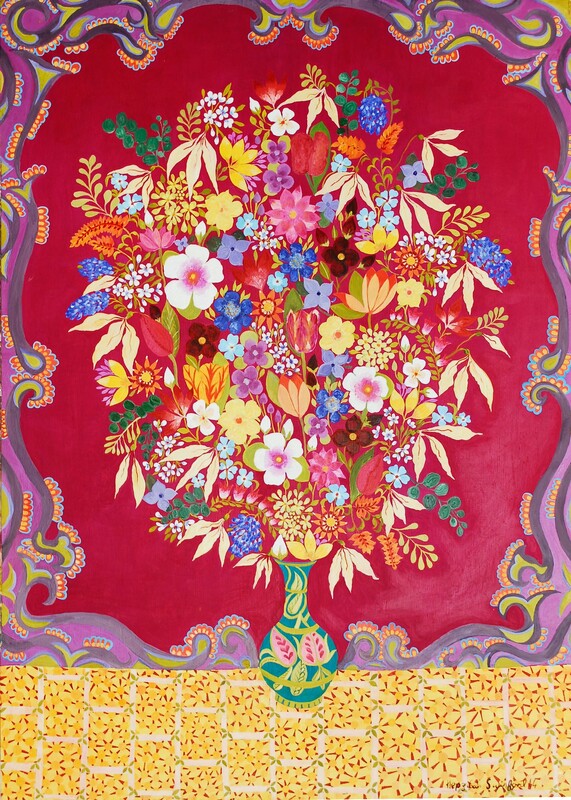 Primarily a flower painter, Hepzibah's artistic voice – marked by sparkling delicacies and inspired by her love of pattern and motifs on antique and modern fabrics and porcelain, and also by the dynamic colourism of sixties' psychedelia – is intuitively sophisticated and daringly inventive. 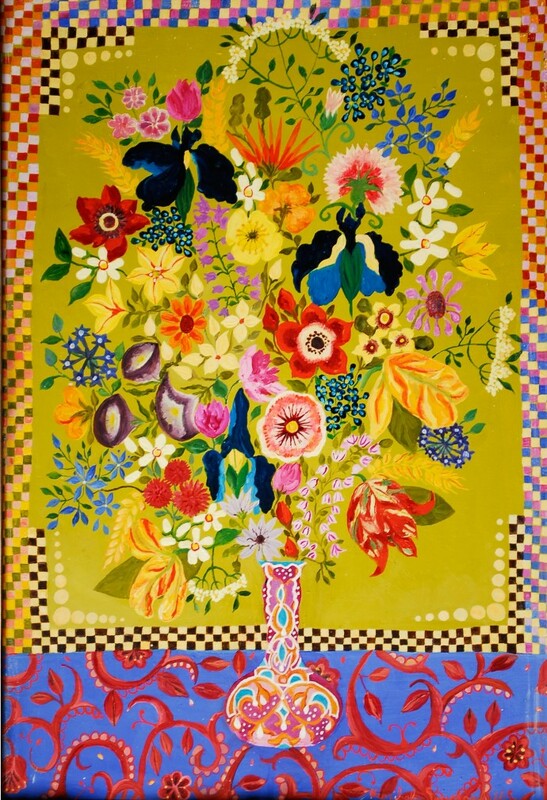 She is inspired by her small collection at home of china – plates, teacups, vases – and various swatches of often antique materials, along with a scrapbook portfolio of images including Dutch flower paintings, Ming and Meissen porcelain, textile designs ranging from William Morris to Dufy to the Bauhaus, a Matisse still-life, a Miro abstract, a Rajasthani miniature, and seed catalogues with their vivid flowerbed photos. 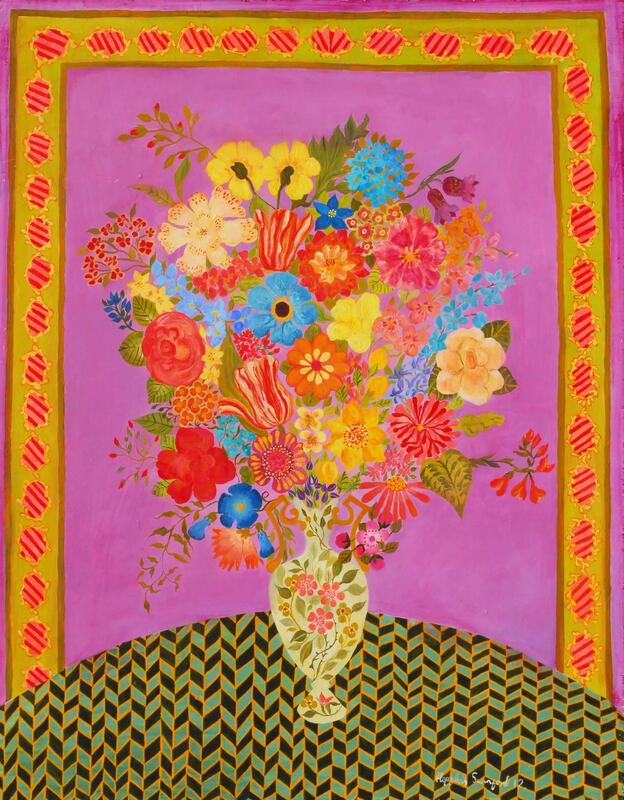 Source: Extract from essay by Philip Vann, author of Face to Face: British Self-Portraits in the Twentieth Century, and numerous books on modern Irish and British art.